One of the highlight concerts of 2016, Blue Frog Studios is excited to bring back the Gabriel Palatchi Trio for a return engagement and video filming for a live concert DVD. It is impossible to leave a Gabriel Palatchi performance unsatisfied. Energy and passion, combined with skill, and a true love for music, has resulted in a dynamic musical juggernaut. His music is an original blend of different genres such as Latin Jazz, Tango, Funk, Klezmer, Gypsy, Reggae, Samba and Electronic, a representation of the many cultures that have influenced his music. 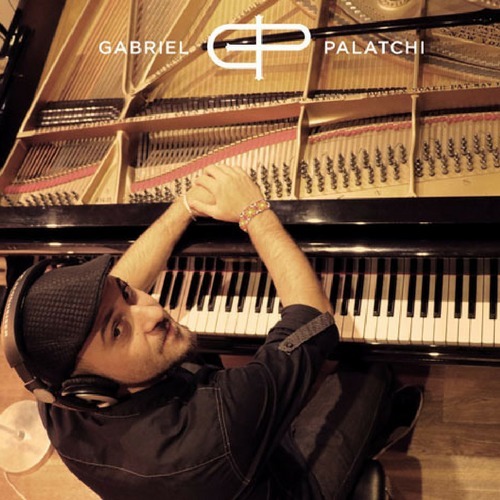 Gabriel hails from Buenos Aires, Argentina and has studied piano under many great teachers of Blues, Tango, Jazz and Latin Jazz, including in Cuba where he met and studied with the world-renowned pianist “Chucho” Valdez. Gabriel continues to travel extensively, performing and composing throughout the world. His music is being played on radio stations all over the world and has been reviewed and featured on the Latin Jazz Network, Ejazznews, Rolling Stone Magazine, The Toronto Star, and many others. The band has performed at international music festivals such as the Vancouver Jazz Festival, Victoria Jazz Festival, Quebec City Jazz Festival, Waterloo Jazz Festival, Kaslo Jazz Festival, Puerto Morelos Music Festival and many others. Gabriel’s new album TRIVOLUTION has been chosen as one of the TOP TEN ALBUMS OF 2015 and received a GOLD MEDAL AWARD in the Composer/Album categories from the GLOBAL MUSIC AWARDS. He has been featured as an EMERGING ARTIST on the April 30th issue of BILLBOARD MAGAZINE. Joining Gabriel will be Kerry Galloway (Canada) on bass and Chema Gonzalez (Mexico) on drums.